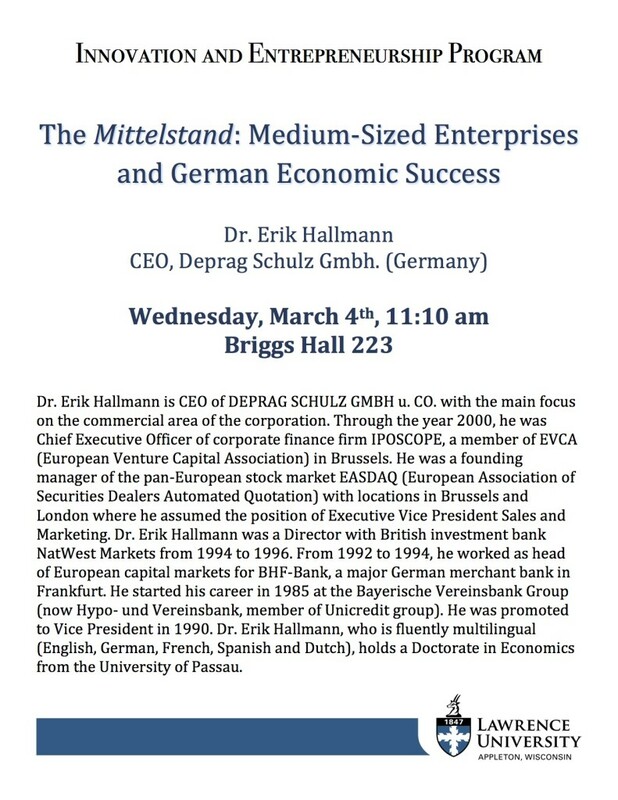 Dr. Erik Hallmann, CEO of Deprag Schulz Gmbh in Germany, will talk about the unique economic model built on medium-sized firms that is behind German economic success. For most of his editorial postings, Paul Krugman’s opinions are political in character and offer limited if any economic analysis. In today’s posting in The Conscience of a Liberal , Krugman demonstrates why his insights are worthy of a Nobel laureate in economics. 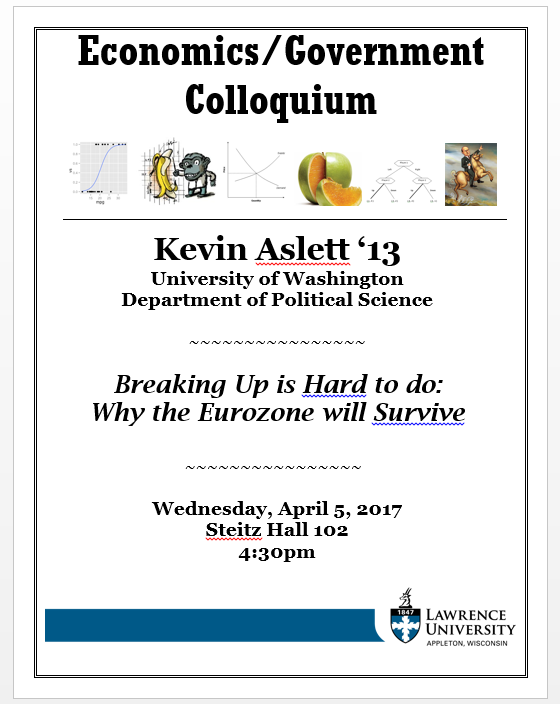 In particular, he discusses what the literature on optimal currency unions has to contribute to discussion of the Eurozone. He draws insights from economists of various stripes regarding the necessary criteria for a successful currency union and how the Euro falls well short of what’s needed. In summary, optimum currency area theory suggested two big things to look at – labor mobility and fiscal integration. And on both counts it was obvious that Europe fell far short of the U.S. example, with limited labor mobility and virtually no fiscal integration. This should have given European leaders pause – but they had their hearts set on the single currency. He notes that most economists forecast that the Eurozone would have problems holding together given the above criteria. So optimum currency area theory was right to assert that creating a single currency would bring significant costs, which in turn meant that Europe’s lack of mitigating factors in the form of high labor mobility and/or fiscal integration became a very significant issue. In this sense, the story of the euro is one of a crisis foretold. Krugman does provide some options for Europeans to consider but isn’t optimistic that this political project will succeed. In short political will or perhaps wishing thinking is not enough. The economic fundamentals can’t be ignored. The creation of the euro involved, in effect, a decision to ignore everything economists had said about optimum currency areas. Unfortunately, it turned out that optimum currency area theory was essentially right, erring only in understating the problems with a shared currency. And now that theory is taking its revenge.